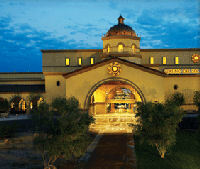 Guide to locate Arizona casinos and race tracks which has 23 casinos and four race tracks. Arizona Casino gambling is like Las Vegas with slot machines, blackjack, poker, roulette and sometimes bingo. 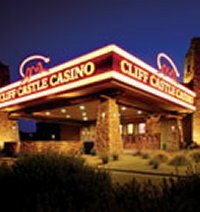 Many of the larger casino resorts like Harrah's AK Chin Casino, Talking Stick Resort Casino, and Wild Horse Pass Casino have luxury hotels, hotel spas, golf courses, and headline entertainment. 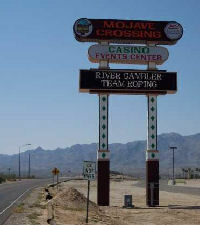 Some Arizona casinos even have full service RV campgrounds with free shuttle service to the casino. As you explore this web site you will even find information regarding special casino discounts, poker rooms and entertainment schedules. You must be 21 to gamble at Arizona casinos and all casinos are open 24 hours. Call the Arizona office of tourism 602-364-3700 for more information. When in Arizona you must take time to see the famous sights like the Grand Canyon, take a desert drive or go into the mountains to explore for gold or take a horseback ride. This is one of our favorite states with beautiful vistas and lots of activities. 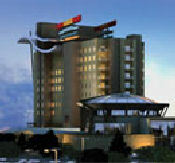 Also check out the casinos that are near golf courses or offer stay and play packages. Call the Arizona office of tourism 602-364-3700 or visit www.arizonaguide.com for more travel information. Back to the casinos near major U.S. cities menu. Turf Paradise Phoenix Turf Paradise Racecourse in Phoenix Arizona with live races October to May. Yavapai Downs Prescott Yavapai Downs has a one half mile horse track in Prescott Valley, Arizona featuring quarter horse and thoroughbred racing. 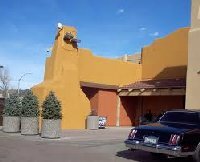 Tucson Park Tucson The Tucson Greyhound dog track is open daily from 9:30am to midnight. OTB stations are offered thoughout the city.